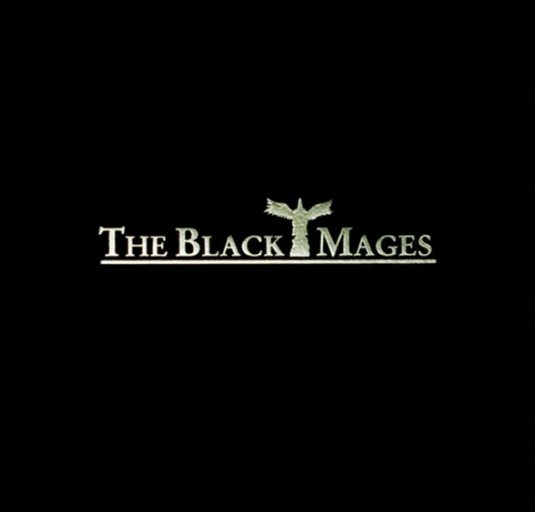 The Black Mages album is in fact, the first album by the Japanese rock band of the same name. In 2002,the band was formed by three video game designers, which became the link to the subsequent Final Fantasy games. The founders of the band, Kenchiro Fukui and Tsuyoshi Sekito and workers at Square Enix, had previously worked together composing some experimental music on a video game entitled All Star Pro-Wrestling and enjoyed this rock style so much that they continued creating. With the success of their work, Fukui and Sekitoagreed to arrange some of the work by Nobuo Uematsu who was also the main Final Fantasycomposer. Luckily, he was a huge rock fan and thoroughly enjoyed working with these two men. At this stage Kenchiro and Sekito begged Uematsu to join the band and proclaimed that they would not make the band if he were not the third member. Initially declining, and then agreeing to play the keyboard for one live performance, Uematsu finally caved, and thus The Black Mages was born. Three albums later the band disbanded in 2010 due to lack of time to rehearse. It is believed also that because Square Enix, the video game company and distributors of Final Fantasy, owned the name The Black Mages, the band was not allowed to play music from any other video games other than music from Final Fantasy. Not being allowed to play any original music put a strain on the band causing, in part, this eventual split. Featuring ten tracks from the Final Fantasy role playing game, the album was very well received by fans and critics alike. The unusual rearrangement of the music using rock themes – both progressive and power metal – were deemed unusual but made a stunning new sound on the tracks. Rearranging ten Final Fantasy battle themes from the first to tenth games, the album makes for an excellent listen. Loved on its debut in 2003, it reached number 43 on the Japan Orion charts with many critics lauding it for its stunning use of synthesizers to create a new type of feel and aesthetic for the much loved and classic musical themes of Final Fantasy. It can be said that some of the new track arrangements still remain too close to the original tracks for some critics’ liking, but the vast majority loved these new stylings and the talents of these three musicians/arrangers. The album’s success was due to its unique scoring of these fan favourite tracks. The deep beats and synthesizers and the mash-up of musical genres created something previously unheard in the gaming world. The favourable result garnered by this first album resulted in a further two albums also recreating Final Fantasy scores, much to the delight of the huge fan base.